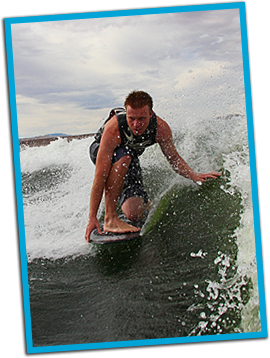 Utah Lake Wake board Lessons, Water Ski Lessons, Wake Surf Lessons, Wake Skate, Knee Board, Wake Board Camps in Utah for water sports and boating enthusiasts. TK Watersports now offers at Utah lake water sports charters, lessons, instruction and quick sets for those who just need to get water time or want the convenience of just showing up to get a set in wakeboarding, waterskiing, wakesurfing or wakeskating before or after work. Watersports instruction can be tailored for the beginner, intermediate or advanced. New at Utah Lake - Quick Sets come join us on Utah Lake. Don't have alot of time but want to get a quick set in.Just show up the boat will be preped and ready to go. We offer instruction for wakeboarding, wake surfing, water skiing, kneeboarding, and wake skating. We are committed to adding that personal touch that makes learning fun an exciting. GoPlay Utah Lake & TK watersports will help you get up for the first time or take you to the next level.Nothing moves you forward like time on the the water. Time on the water is the most important ingredient on moving forward or getting to that next level. By adding our personal touch we can make learning fun and exciting we are committed to make sure everyone’s time on the water is enjoyable. 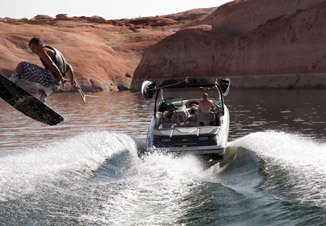 We offer instruction for wakeboarding , wakesurfing, water skiing, and wakeskating.